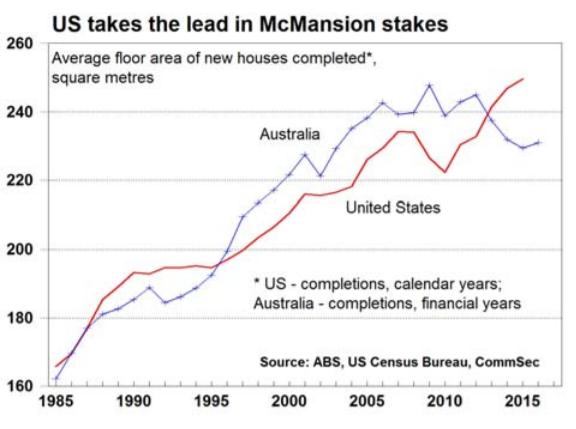 Australian houses are getting smaller, and we’re building more units than ever before. But it’s not unaffordability that’s causing the shift – it’s the changing face of the average Aussie household. New data compiled by CommSec in October 2016 shows that we hit our peak about 5 years ago, and we’ve now relinquished the ‘Biggest Houses’ title to the US. How do these new trends impact investors? 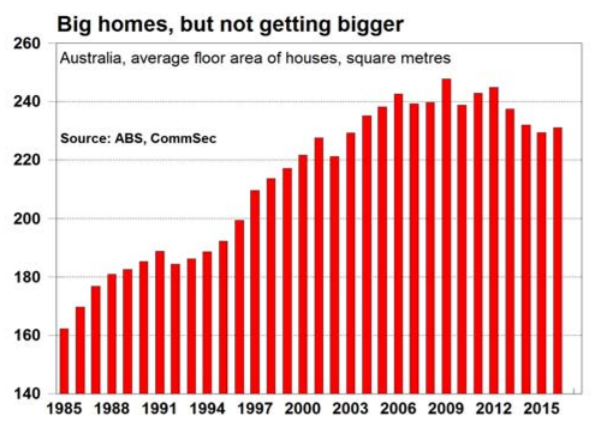 The fact is that our houses are still big – the report says that the average Australian house is 30% bigger than 30 years ago and still 10% bigger than they were 10 years ago. House sizes have plateaued or shrunk. More units and apartments are being built, and less houses than ever. Households and the needs of younger buyers are changing, and it will be the astute investors and developers who will succeed in the changing market. Lot sizes are smaller. With a growing population and increasing desire to live in metropolitan areas, blocks are being subdivided and new estates have smaller offerings to maximise living density. Household sizes are getting smaller. The report says the average number of residents per dwelling has been steadily dropping since 2011. Back then, the ABS recorded an average 4.5 people in every home; in 2006 the average household was 2.4 people.Property prices may have been keeping multi-generational families under one roof, where they could live comfortably in large homes. 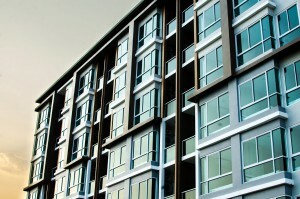 Now, younger generations are moving out to be closer to lifestyle amenities. People are having fewer children, and factors like divorce are creating smaller family units. Younger homeowners and renters will sacrifice space for lifestyle. Being close to restaurants, shopping, beaches, workplaces and transport links is becoming more important to Millennials and Gen Y’ers. They’re happy to live in smaller quarters, in high-density areas, to be closer to all the action. As a result, we’re building more units and apartments than ever before. House construction has fallen from a long-term average of 70% to less than 60%, according to CommSec. The report says that even our units are getting smaller, shrinking from 140m2 in the 2000’s to 130m2 today. In a nutshell, the report highlights the need to identify the evolving needs of the market. 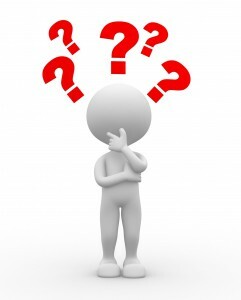 If you want to have a relevant and profitable portfolio in the future, following changing trends is of utmost importance. For example, the report says that supply and demand will very likely shift, given the new data. “Five years ago economists were baffled by the failure of home building to lift to the level of assumed underlying demand. However the “apparent paradox” was explained by structural change such as demographics and increased utilisation of Australia’s large homes. Population growth, independent young buyers, changes in lifestyle and our ageing population will continue to change the way we want to live, the report says. By 2022, Sydney will need to provide housing for an additional 309,000 households, while Melbourne will need an additional 355,000 households. 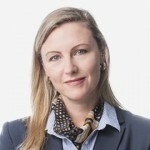 From this standpoint, the recent surge in high-rise apartment construction in the Melbourne and Sydney property markets is part of the solution. But we’re building the wrong thing– too many small apartments in high rise towers, when the greatest need in the future will be for family friendly dwellings. Most of the new households forming over the next decade are likely to start a family and when they do so, will look for family friendly accommodation. However, few families will be able to afford detached housing in the inner and middle suburbs, especially in the Sydney and Melbourne property markets. So many will trade backyards for balconies, but will turn to larger apartments in smaller boutique blocks, villa units and townhouses. In turn, these will make great long term investments. How are you going to use this information? 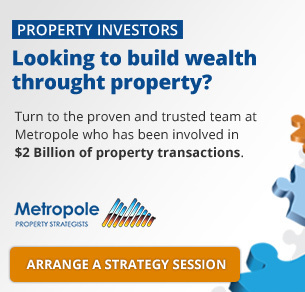 How are you going to take advantage of these property trends or are you going to get caught by the traps ahead?